We are just back from Decorex the annual interiors exhibition in London showcasing the best in furnishings and lighting for the home. It is the interiors equivalent of London Fashion Week and the ideal place to spot the latest trends. Here are some of our key finds from the show. Firstly our good friends at Charles Burnand exhibited for the first time this year. 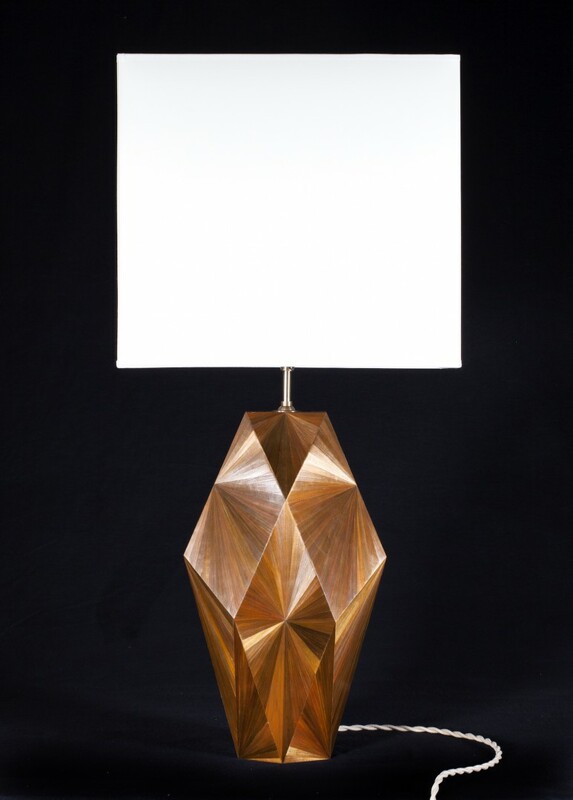 They have launched a range of stunning furniture decorated with straw marquetry. The decorative finish originated in the 17th-century in France and is created using pieces of straw that have been split by hand, flattened and then scraped to turn each strip into ribbons which are laid edge to edge onto wood panels or furniture. Tom Falkner is another company that we have work closely with for a long time, they are well know for making elegant furniture from different hand made metal finishes. 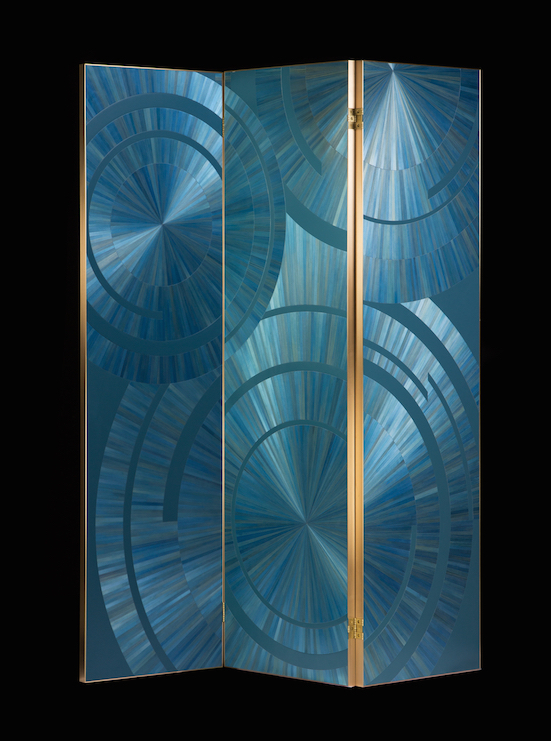 Their new collection of tables shown at Decorex experiment with bending metal. 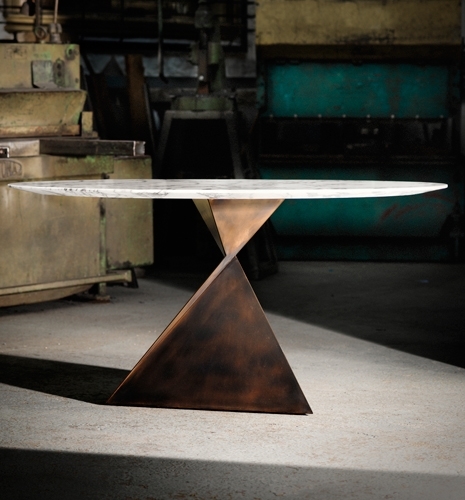 We liked the new Ava table which is made of two bronze tetrahedrons and a stunning marble top. 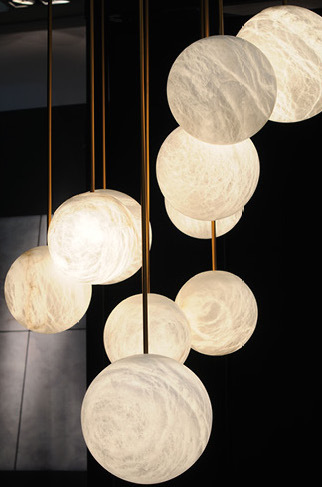 Lighting was one of the highlights of Decorex this year, with lots of bold statement pieces on display. There was nothing quiet about the lighting this year with large chandeliers, brightly coloured shades and low hanging pendants taking the stage. This unusual alabaster chandelier from Atelier caught our eye. 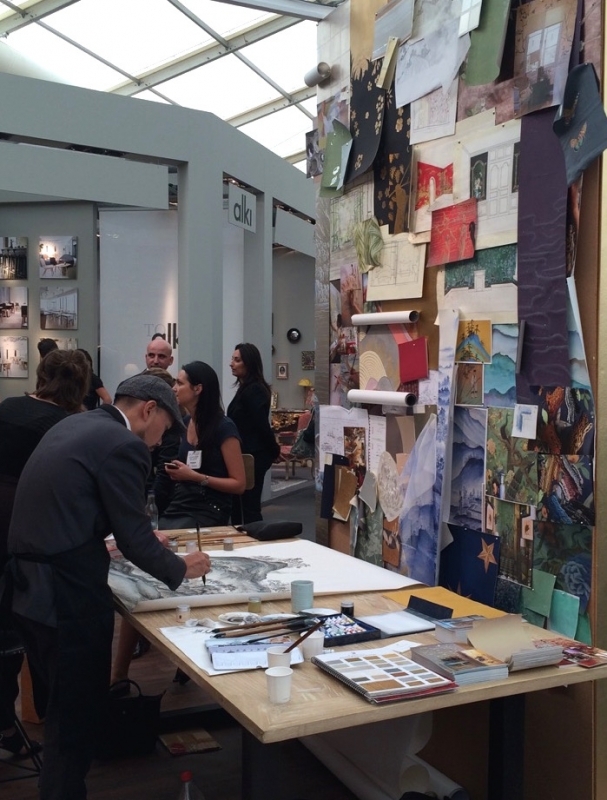 Luxury and Craftsmanship were the key words at Decorex this year. It is great to see that we still value traditional workmanship so much in this digital age. Hand painted wallpaper has been imported from China into Europe since the 16th-century and is still very popular today. It was fascinating to watch the master painters showcase their skills here in London. Colour wise everything was blue, blue and blue. 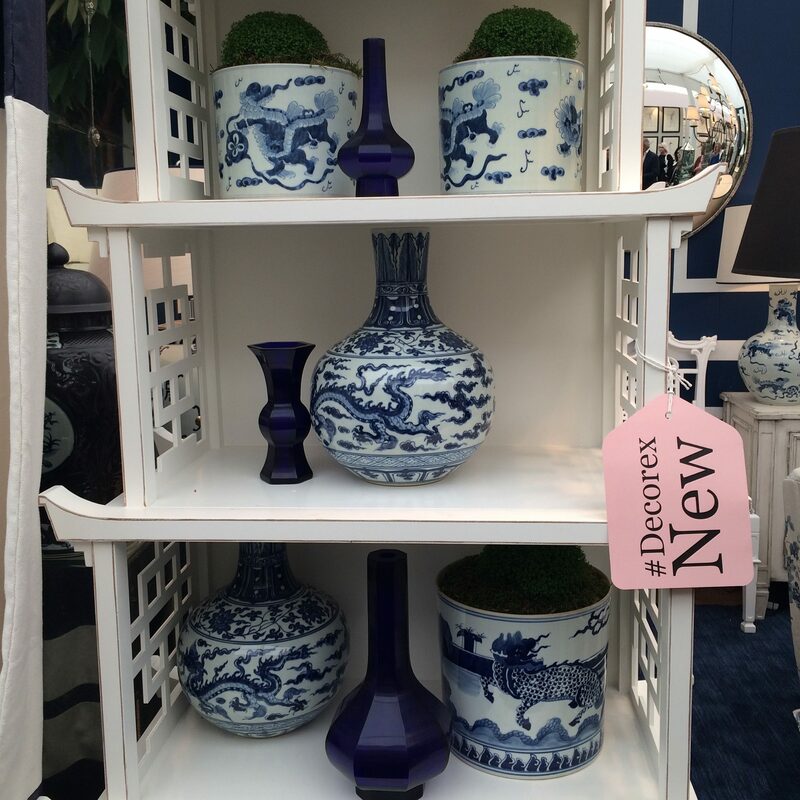 Zoffany and the Little Greene Paint company have both launched new paint colours in a range of blues and a large number of stands were decorated in deep shades of blue. We really liked these Chinese style accessories from Nicholas Haslam. Lots to look at this year and we are looking forward to incorporating some of our favourite new pieces into schemes for our clients. We are working on a new article on key design trends for this Autumn/Winter which will be posted in a couple of weeks.